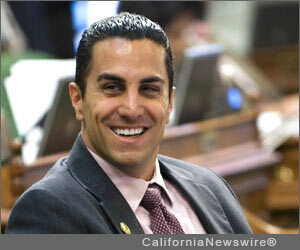 SACRAMENTO, Calif. /California Newswire/ — Today, Calif. Assemblyman Mike Gatto (D-Los Angeles) introduced legislation to address the illegal use of disabled parking placards in cities across California. According to Gatto, there are approximately three million disabled parking placards in use in California – in other words, one in every eight drivers has one. While placards are most often used responsibly and for legitimate reasons, irresponsible and fraudulent placard use has become a significant concern. Multiple news investigations have caught swindlers in the Los Angeles area using placards belonging to friends and relatives, including a deceased relative and a disabled sibling. Other investigative reports showed hidden-camera footage of people fraudulently using placards at an airport, at meters in front of the gym they worked out, and of a man selling placards on Craigslist.